Years ago I read a review of Having Tea by Tricia Foley. I don’t really know why I asked my brother to buy it for me for Christmas, but I did and he did, and from that point on I became fascinated with all things tea. Separate from country or exact custom, the simple act of taking a moment out of a busy day to do something restorative made sense and be it for two or twenty I have been throwing tea parties ever since. I have always wanted to open a tearoom, and have taken many culinary and business classes to prepare, but in the end I have found the realities of being a restaurateur too daunting. 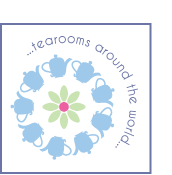 Instead, after years of cooking, brewing and partying, and collecting many, many tea pots, I have decided to open a virtual tea room and share the things that have inspired me. I realize that when one is talking about tea (the beverage), the subject is complex and far ranging and I am not an expert. My recipes are one thing, but my taste in tea and my advice isn’t meant to inspire angry debate, only curiosity and each individual can take it from there. Discussion is always welcome, and advice from experts encouraged. In other words, like most bloggers the inspiration for this site was the love of something and the goal is fun, so I would like to keep the comments bits of this site clean and friendly. Failure to adhere to these loose rules will result in being shown the ephemeral door to this virtual tearoom. 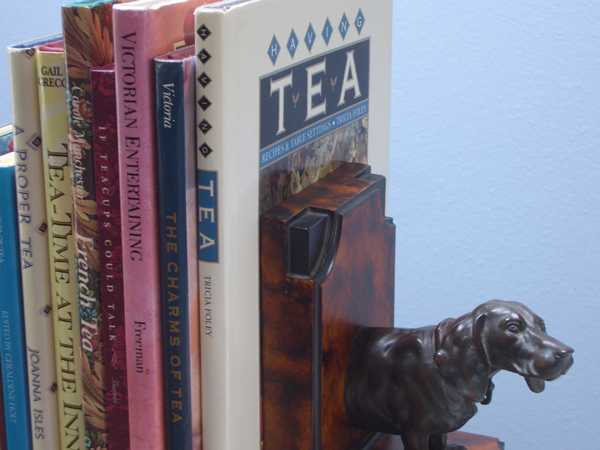 Most of the recipes on this site, though inspired by the many books and tearooms I’ve known over the years, are of my own invention (unless otherwise noted). The photos have been taken by and are copyrighted to me (unless otherwise noted). Please feel free to share them, but I do ask that you credit the source, and if possible, provide a link back to the original post. I also reserve the right to request the text and/or photos be removed at any time.